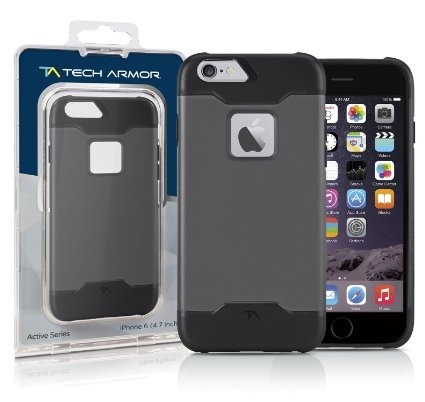 I first tried out the Tech Armor iPhone 6 Case, 4.7 inch – Active Sport Series Space Grey/Black Ultra Rugged Protection (http://www.techarmor.com/tech-armor-apple-iphone-6-grey-polycarbonate-tpu-case-4036.html) and on Amazon at http://amzn.to/1FUZY13. The case is advertised with extra drop protection, screen protector friendly, raised edges for screen protectors and easy to press buttons. Compatible with 4.7-inch iPhone 6 (4.7 inch), all carriers, all models. 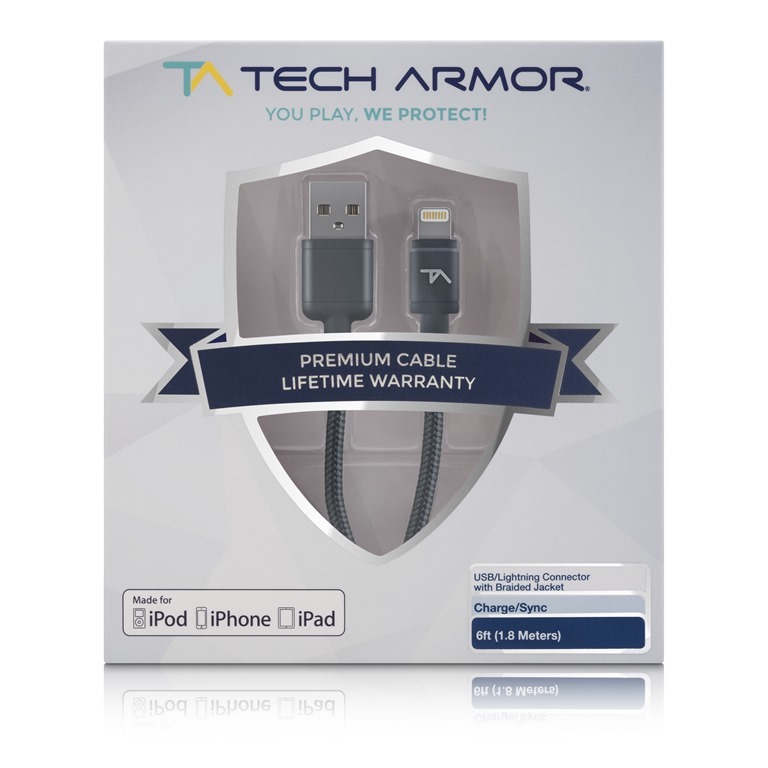 Tech Armor No-Hassle Lifetime Replacement Warranty. 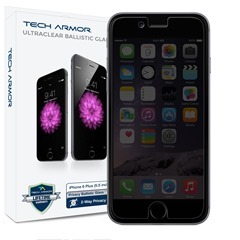 Compatible with All Tech Armor Screen Protectors. Compatible with all Tech Armor, Apple and Amazon branded lightning cables. I used the case for a week in my normal work flow. I typically carry my phone with me all day and use my back pocket. I pull my phone out every time I sit down and lay it on the table or something near me. It was the only phone I used while testing. I also installed a Wizgear (http://amzn.to/1cDTAkb) Magnetic plate between the phone and the case for mounting in the car. The case was thin enough for the magnetic mount to work. I also use the Braided cable (review below) in the car to power the phone. My 2006 Honda Civic comes only with an AUX connector for the phone. I cable that connection. While I found the case to be tough and durable (not sure I was up to testing it in full force with my phone), I personally like a case this is a little more sticky. Something that will hold in my hand. I often felt like this case was going to slip out of my hand while I was using it. I like something with a little more texture. However, I know others who like cleaner design that slips easy in and out of pockets. This case would do that well. The real treat was the totally frustration free packaging. Getting the case out takes seconds and should be kept for future shipping or storage. A nice touch! 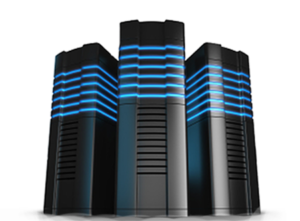 Important: They offer FREE SHIPPING and and a Lifetime Replacement Warranty! 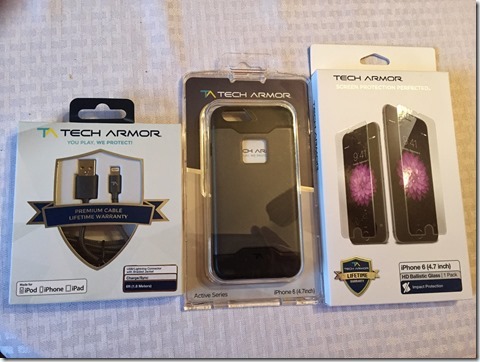 The Invisible Shield wanted $5.99 for shipping a new one. I tossed it. This screen was very easy to install and I did it myself. If I was doing it again I would be careful to make sure I got the corners stuck down properly the first time, but all in all, a very easy install. You just have to make sure the phone is very clean. They provide all the proper tools. I had no issues with bubbles or air pockets the first time. The cover works great and I have had no issues with using it. Feels good to the touch and has the right amount of resistance. The screen looks great as well and does nothing but make the screen look better. 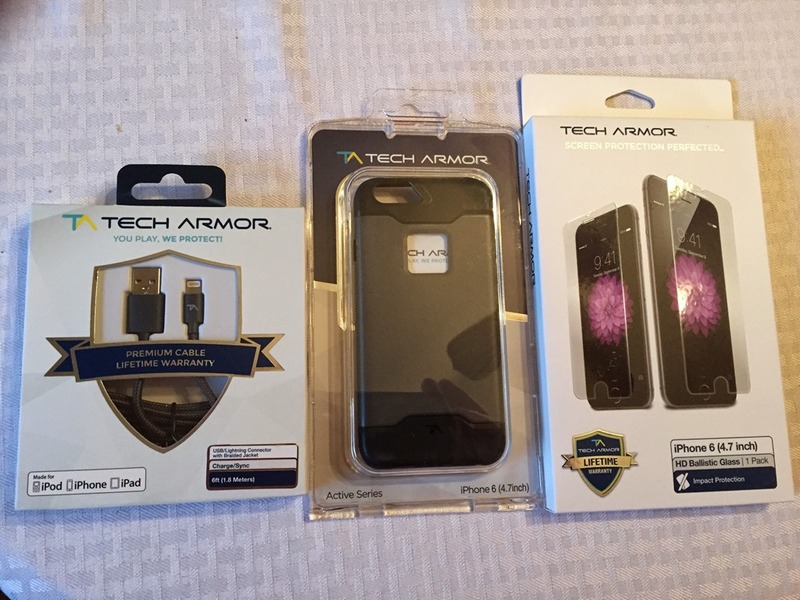 Tech Armor has other covers like the HD Clear and the HD Clear+ at a lower price point. Don’t bother and go directly to this one. Well worth the $11. Note: I didn’t push it with any scratch or drop testing. In the car with works great (6 feet of cable is a bit much, but worked for the testing). It’s also tough enough that when I get the 2 ft cable in and replace it in the car, it will go in my travel bag and go on the road with me. You can never have enough cables!